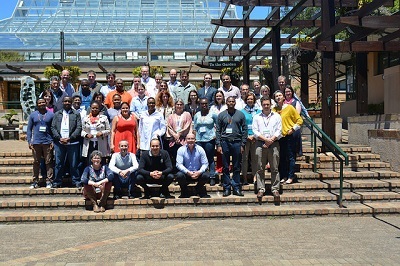 The South African National Biodiversity Institute (SANBI) successfully hosted the fourth annual Management, Research and Planning (MaReP) Forum on 23 and 24 November 2017 at Kirstenbosch National Botanical Garden. The forum was held over two days under the theme ‘Unlocking and securing investments in the natural resource management sector’. This was a continuation of working sessions established in the third Executive MaReP in February. It provided a platform to highlight the progress made on the identified actions to unlock investment prospects in natural resources management (NRM). These working sessions expanded the discussions on four identified themes, and incorporated a new sub-theme to link NRM and Biodiversity Stewardship. A robust discussion transpired to deepen understanding of conservation finance mechanisms to fund and grow the natural resource management sector. The forum discussed water sector funding opportunities, international funding vehicles, making a case to the Global Climate Fund, corporate investments, biodiversity offsets and drawing a connection between biodiversity stewardship and NRM. The four established groups spent a lot of time deliberating on actions to be undertaken towards fulfilment of the ‘Unlocking investments for NRM sector’ goal. These practical actions will be executed by designated theme members within stipulated timeframes. The identified actions are essential to supplement the under-funded NRM sector. They require broadening and strengthening of partnerships and participation of corporate representatives in executive MAREP Forums. A post event evaluation suggested the need to involve other government departments with a related and overlapping mandates. This is an admission that DEA-NRM cannot achieve this goal single-handedly, hence government, NGO, private sector engagement and collective effort is imperative. Established thematic groups are expected to undertake specific activities during the course of the year, after which there will be feedback to the entire community of practice in the following financial year.